Disney+ is the much-anticipated video streaming service that Disney fans have been waiting for. 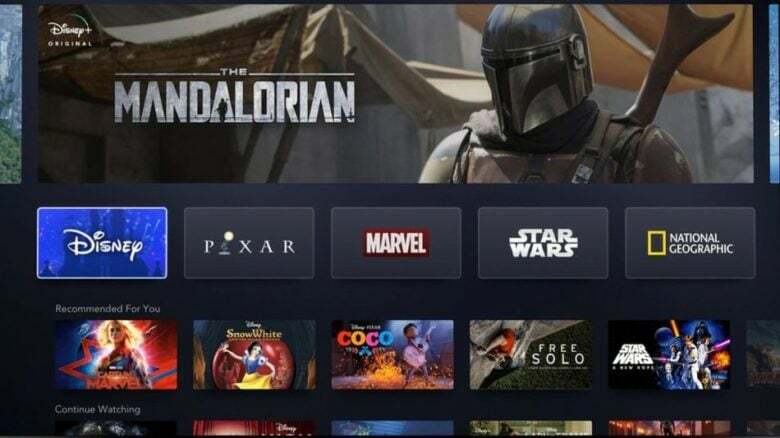 Priced at just $6.99 a month or $69.99, it offers access to a wealth of premium content from major Disney franchises like Pixar, Marvel, and Star Wars. The service also boasts exclusive streaming of The Simpsons, and will host brand new originals like Monsters At Work, Star Wars: The Clone Wars, and High School Music: The Show. You will be able to enjoy Disney+ on the PlayStation 4 and Roku set-top boxes when the service makes its debut in the U.S. on November 12, 2019. The Disney+ app will also make its way to Smart TVs, tablets, and smartphones. In an interview with Bloomberg, Iger added “the app will in all likelihood be available through traditional app distributors, Apple being one of them.” Iger is “fairly certain” that if you want to subscribe, you’ll be able to do it through Apple and iTunes. Disney clearly has no objection in supported Apple’s platforms, despite the 30% cut Apple takes from subscription fees, or the recent announcement of Apple’s own video streaming platform. That’s great news for iOS and tvOS users. Iger expects Disney+ to be a big success. Its affordable price tag, coupled with access to some of the biggest and most popular movie franchises, makes it a product “people will sign up in droves to have,” he said. Disney will continue to launch its biggest movies in theaters, and you can still expect to see Disney shows on traditional TV. But when those movies are ready for streaming, they will be exclusive to Disney+. Disney predicts it will secure 60-90 million subscribers by the end of 2024. Disney has already started distancing itself from Netflix and pulling access to its in preparation for its own streaming service. But Iger has no plans to cut ties with Apple and vacate his position on its board just yet. “Obviously I’m mindful of my fiduciary responsibility to Apple shareholders as a member of the board,” Iger said.